Channel the power of Shredder with these Teenage Mutant Ninja Turtles knee high cape socks! 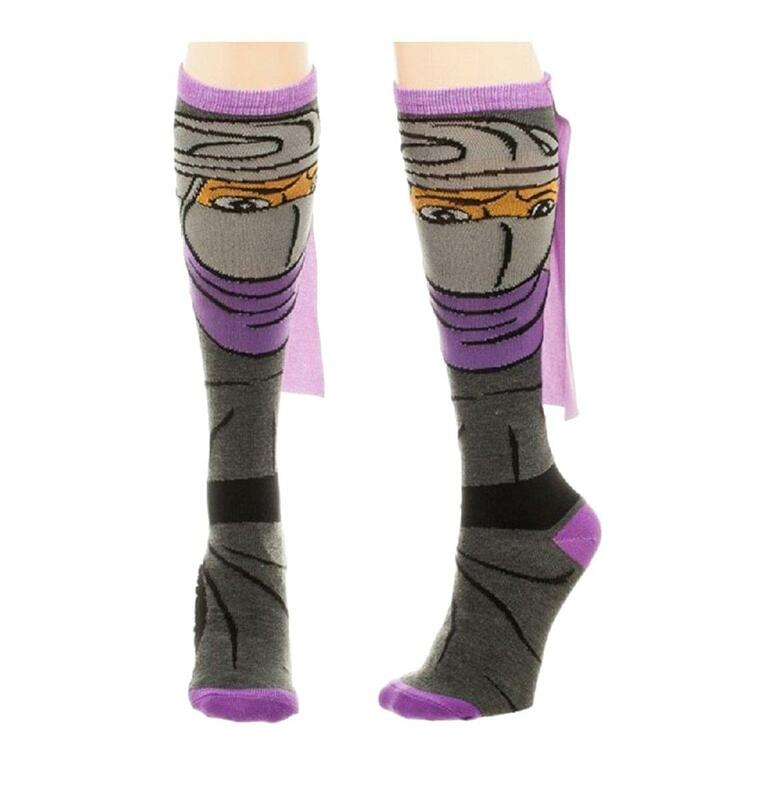 Gray and purple socks feature the face of Shredder and a fun cloth cape attached on the back! Made of 98% Polyester 2% Spandex, these women's knee high socks fit sock size 9-11 (shoe size 5-10). Officially licensed. Channel the power of Shredder with these Teenage Mutant Ninja Turtles knee high cape socks! 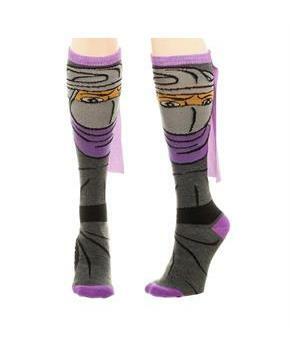 Gray and purple socks feature the face of Shredder and a fun cloth cape attached on the back! Made of 98% Polyester 2% Spandex. Fits women's sock size 9-11 (shoe size 5-10).